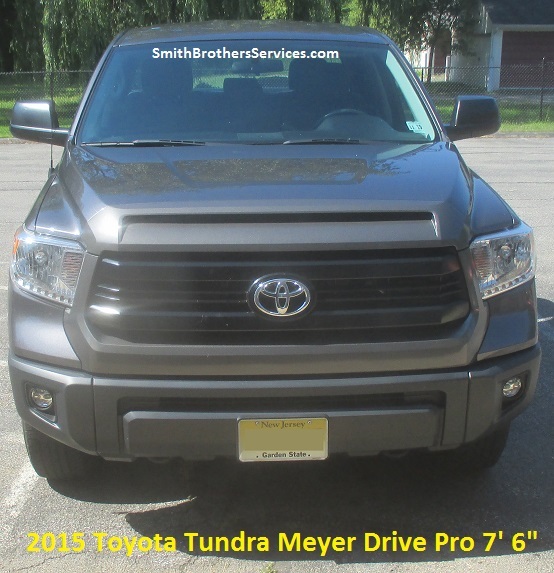 2015 Tundra Meyer Drive Pro 7' 6" SOS and 2016 Toyota Tacoma Meyer Drive Pro 6' 8" SOS. 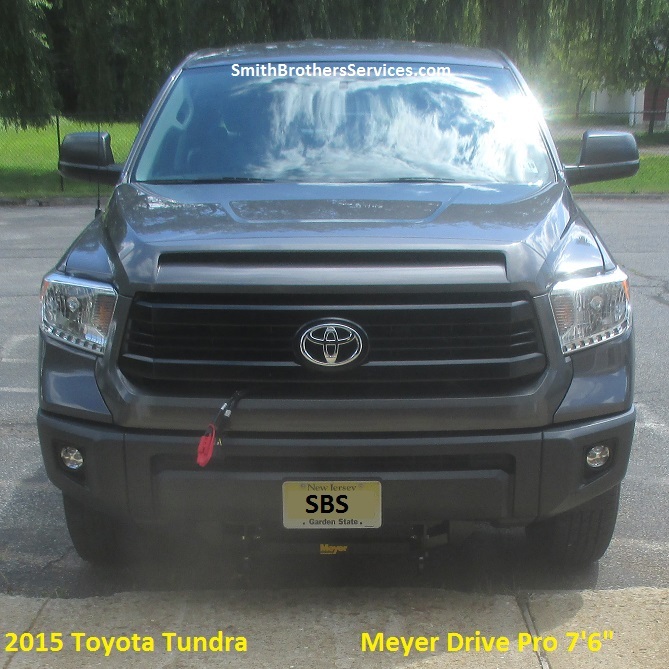 2015 Tundra Meyer Drive Pro 7' 6" SOS first. Checking fit, final adjustments and decisions. 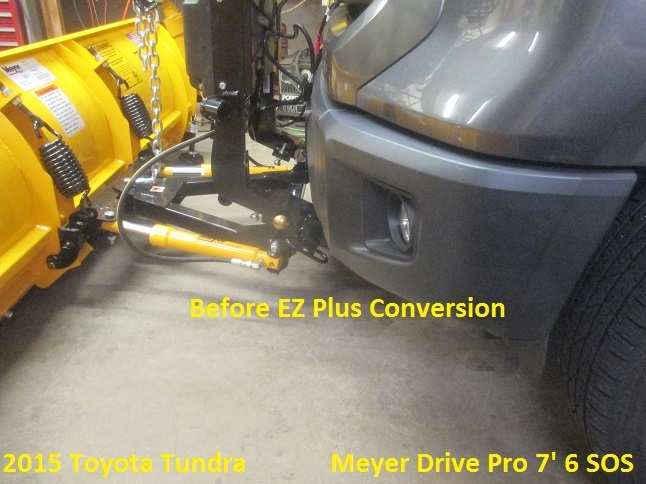 Decided to make it EZ Plus and the #1 reason for this is the cross bar of the Single Pull hits the Drive Pro Universal Clevis on the turuck when trying to mount. With no bar in the way mounting is easier. It did not take me longto figure out the bar can be moved to the bottom of the SOS with a simple mod to the bar. 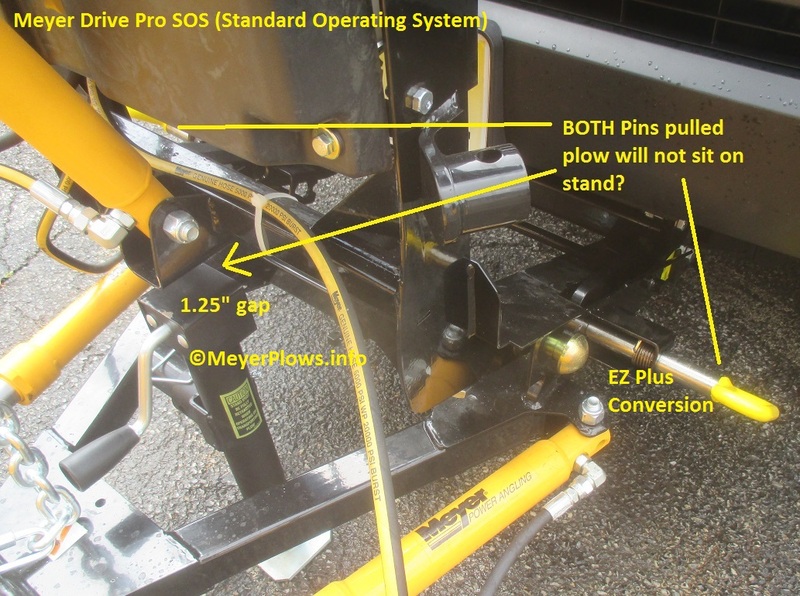 So no more EZ Plus Conversions on SOS! Decided to convert it to EZ Plus. My first SOS EZ Plus conversion. Sorry there are no after pics. 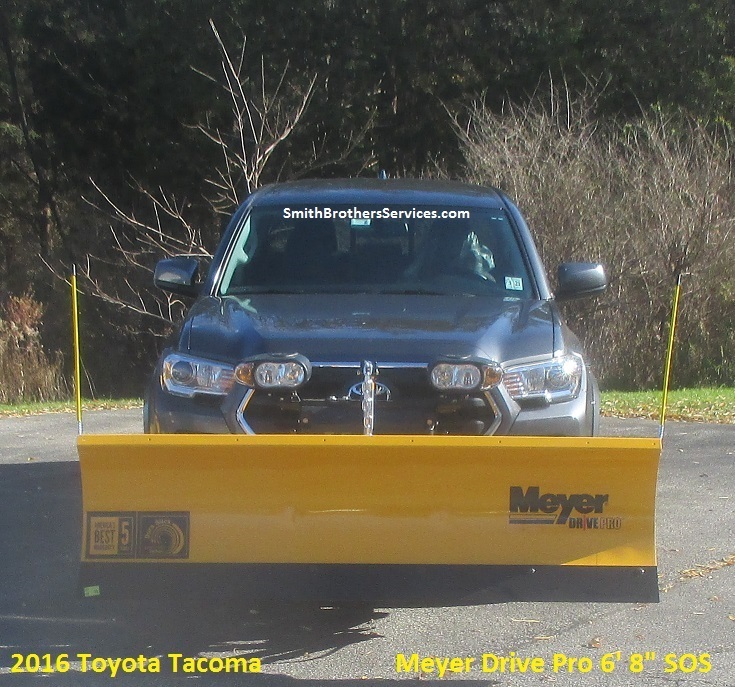 He took the truck to install the 2" leveling kit before coming back for the plow. He was supposed to install the kit FIRST. 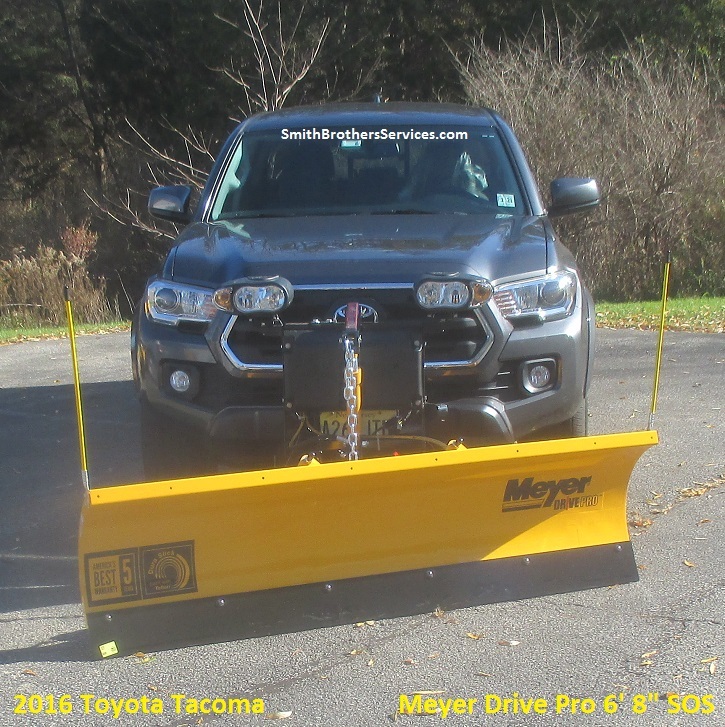 Saw him a few times over the winter and he loves the plow setup. He had a Snow Dogg and said never again. 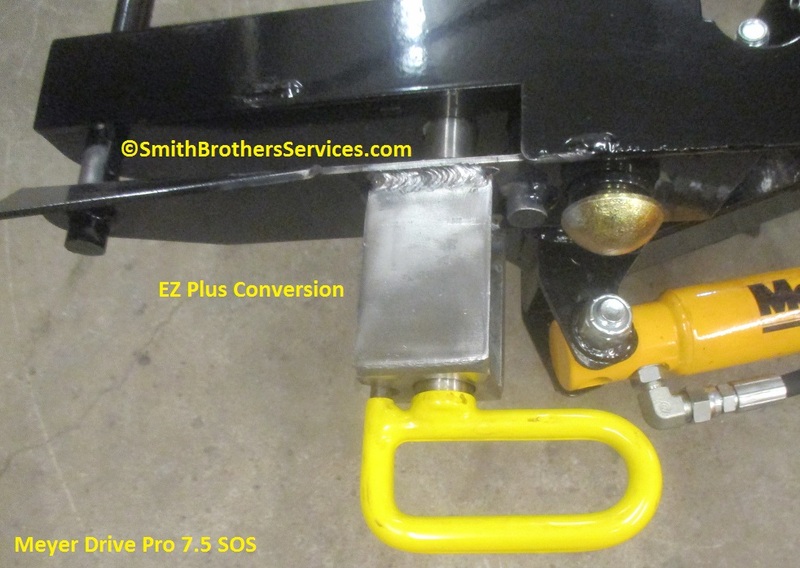 A Snubber installed on top of the Crankstand solves the problem. Done. Front view, plow up. These were some of my first SOS installs. 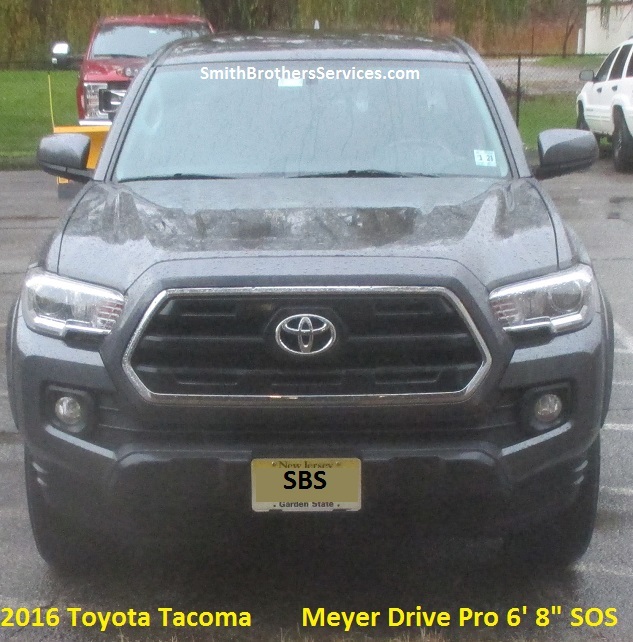 I have put up a lot more Meyer Standard Operating System (SOS) info on my site. Four pages right now. 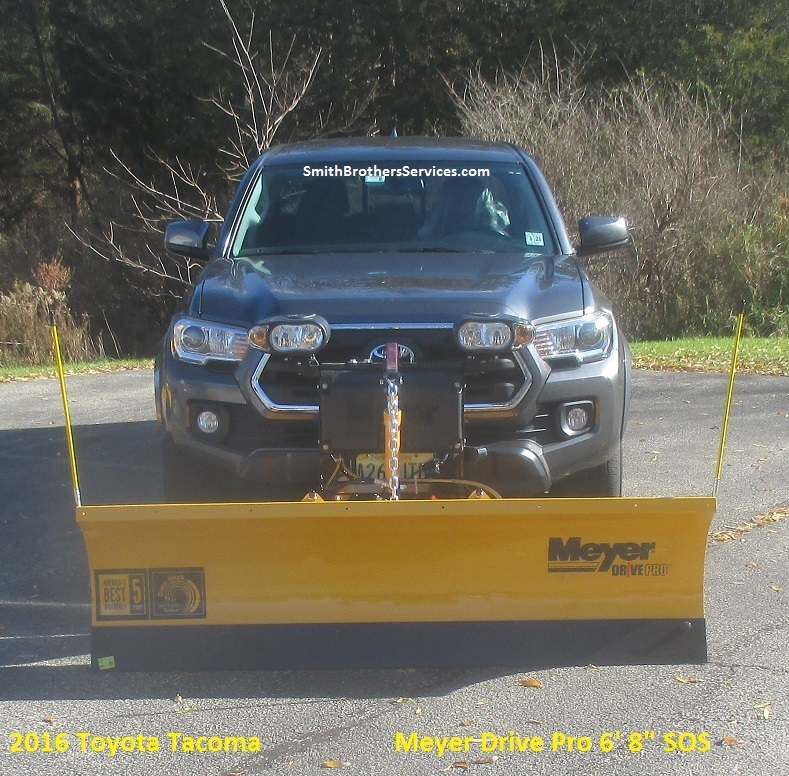 Main Toyota Tacoma Meyer Drive Pro Plow Installs Page A LOT more here.